Dates for both our Europe and Asia Pacific Summer Schools have been announced! 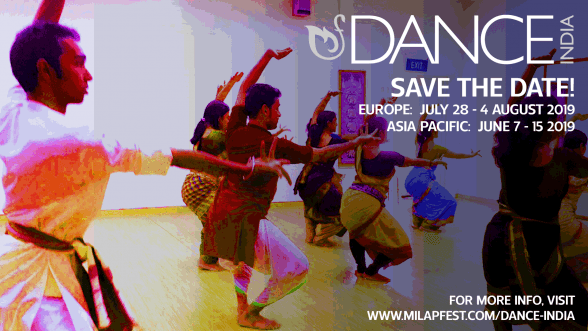 Milapfest regret to announce that the regular Dance India International Summer School (Europe Edition) at Liverpool will not be taking place this Summer. 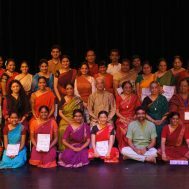 Dance India Asia Pacific Returning for 2017 with a spectacular programme of training and performance in Singapore. It's with great sadness that we learnt about the passing of a wonderful woman, artist, friend and partner in Singapore, Smt. Neila Sathyalingam. We are pleased to announce that our unique week-long residential, DANCE INDIA, will be returning for 2017.